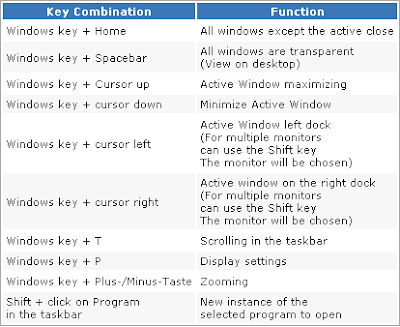 Helpful keyboard commands in Windows 7 | Its Madh !!! Some operations are harder without a mouse or any other pointing device. Microsoft's upcoming Windows 7 operating system brings many new keyboard shortcuts with which to control without the mouse. Here are the primary commands which is useful in controlling active programs.